Floor Plans > Who’s In? Are you starting a new practice and looking for professional space with high visibility? Are you an established practitioner who is in need of a new office set up? Do you need great space but only for some of the week? Good news! 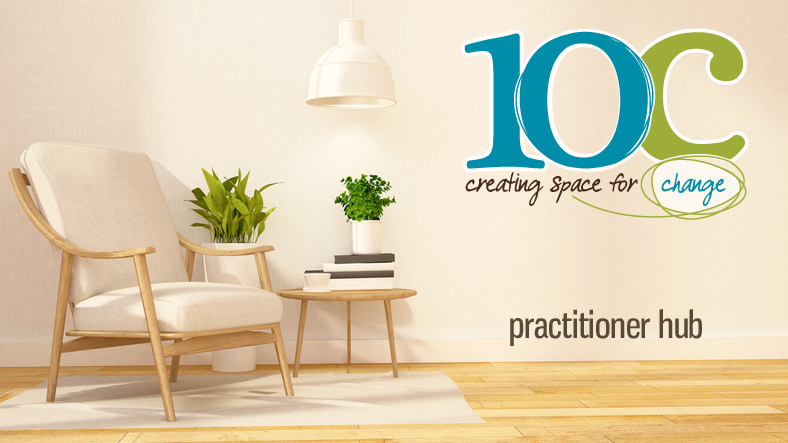 10C’s got you covered, with our affordable and flexible practitioner space rental packages, geared for part-time use. We know that one of the hardest parts of starting or sustaining a business is simply finding space. With 10C’s move to 42 Carden Street (former Acker’s Building) in June 2017, we’re excited to be able to offer local practitioners and consultants greater access to affordable, professional meeting and work space. Shared private office venues perfect for naturopaths, RMTs, counsellors, consultants and others needing private dedicated space for part of your work week. Our goal is to make the space finding process simpler, so you can focus more on doing great work. Our private practitioner space packages give you access to two, consistent half-day (4 hour) bookings per week (Monday-Sunday), allowing you and your clients consistency in terms of time and location. These packages are designed to provide more than just space. Signing on to one of our practitioner packages will give you a professional ‘home base’ – with mail services and access to printing/scanning/photocopying etc, as well as opportunities for collaboration, networking and promotion of your new practice through our 10 Carden community and in downtown Guelph. Our two 6ft x 8ft soundproofed rooms will comfortably seat 2-3 people and provide a quiet and flexible location for ‘one-on -one’ consultations and small group sessions. This package includes private space use for two half-days per week (32 hours/month). Includes one 2 hour meeting booking in the “Study” per month. This large room, also on the 3rd floor, seats 10-12. Other larger rooms, the Activity Room or Community Classroom are available at member rates for groups of 20-150. Need some flexibility in terms of your space usage? Then this is the option for you! This combination package will give you weekly access to either of The Quiet Room or the Practitioner Space. Includes two half day bookings in either space per week (32 hours/month). To make the booking process easier, we ask you to select your desired time slots in the form below (9am-1pm | 1pm-5pm | 5pm-9pm Monday-Sunday). Each package gives you access to guaranteed time slots per week. All weekly time slots are on a first come first served basis and are non-transferrable. If you find you need to switch time slots, let us know and we’ll try to accommodate this for you (depending on availability). Since we are a membership-based organization, part of signing up for our practitioner package is also agreeing to become a 10C member! Membership benefits include discounted room rental rates for the other spaces in our building (link to room rental rates), as well as networking and promotional opportunities via our monthly e-newsletter, social media channels and in person events. Most importantly, our Community Animator can introduce you to everyone in the building and help you forge connections and ways to promote your practice. We offer student, individual and organizational annual membership rates, allowing us to make our membership offering as accessible as possible. As we are a membership-based organization, collaboration and community are in our DNA. As part of this, we ask that you consider offering a 10% discount to 10C members and coworkers, or offer a workshop to share your skills and knowledge with other folks at 10C. Free or pay-what-you-can workshops or seminars are also a great way to introduce your practice. Fill in our this online practitioner form. We will get back to you and discuss options, questions or changes to make this work for you! Complete the short form below to help us tailor your package. We can also customize to create a package to suit your exact needs. Laundry - There is on-site laundry for linens. Please let us know if this is of interest to you. What furniture / equipment will you need? Please check all that are required. We are doing our best to make sure the room is ready to go for a variety of uses. Ideas include, discounts, workshops, collaborations, teaching, etc. 10 Carden © 2019. All Rights Reserved. Now located at 42 Carden Street, Downtown Guelph (the old Acker's Furniture Building). Where we are going - 10C, Guelph's social innovation hub, will inspire people to break new ground through collaborations fueled by effective relationships, entrepreneurial spirit and dynamic research. We will spark new ways to imagine, think, behave and work together – putting Guelph on the map for community-driven social change. 2019 marks 10C's 10th year as a NFP social enterprise. We are thankful to the Ontario Trillium Foundation for the support of this project, namely the Shared Commercial Kitchen.